Outside of the archives of physical maps, there are a number of websites which provide access to digital maps covering towns and regions in the historic province of Galicia. Some of the best sources are listed here with links to their collections. Although not a database of maps per se, the KehilaLinks section of the JewishGen genealogy website assembles extensive information about a great many current and former Jewish communities around the world, including Galicia. 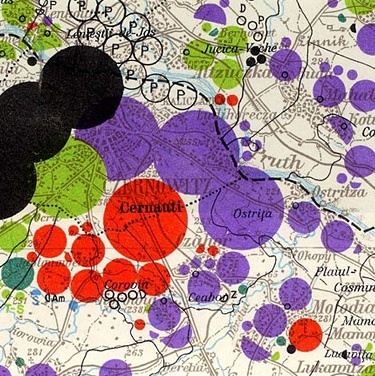 Much of the data is member-donated, and takes many forms, including a number of interesting maps from atypical sources; other community pages include links to maps and collections elsewhere on the web. 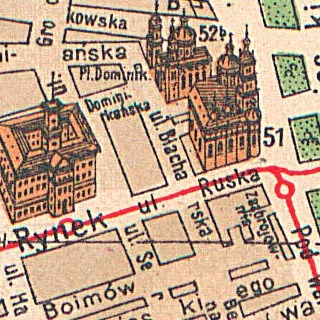 Examples include: a hand-drawn street map of Hrymailiv (Grzymałów), one of several memory maps on the site; a 1943 map of Nazi-occupied Rohatyn, showing streets named for German, Polish, and Russian figures; a list of external map links relevant to Ukraine (which overlaps historic Galicia). The Center for Urban History of East Central Europe in L'viv, Ukraine is a private non-profit academic and cultural organization focusing on historic and contemporary cities in a region which includes most of Galicia. Their website includes an urban maps digital database, with more than 70 street maps of more than 10 cities, with new maps being added frequently. The map site can be browsed by location or time period, is searchable, and includes high-quality images with clickable features and the ability to zoom. Europeana aggregates a wide variety of European cultural heritage sources including online galleries, libraries, archives and museums. As they describe, available media types include "books and manuscripts, photos and paintings, television and film, sculpture and crafts, diaries and maps, sheet music and recordings." The map collections are small compared to other resources, but large compared to most other world sources. Especially valuable are direct search tools available on its partner sites, for example the Polona Digital Library, an initiative of the National Library of Poland. 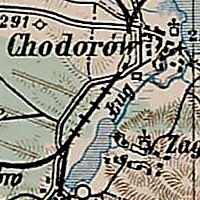 The digitized collection of the Polish interwar Military Institute of Geography, covering the then-existing borders of Poland (including Galicia) as well as neighboring lands. The collection is very large, with a variety of maps created by WIG and other sources; most collections are extensive but incomplete. Of particular interest are the detailed maps of Austro-Hungary produced by the Kaiserlich und Königlich Militaergeografisches Institut (KuK), and a set of town and city plans of 19th and 20th century Poland and central Europe. From Galicia/Bukovina, the towns with urban plans include: Czernowitz, Czortkow, Jaroslaw, Jaslo, Krakow, Kolomyja, Lwow (many plans), Luck, Przemysl, Radom, Rzeszow, Stanislawow, Stryj, Tarnopol, Tarnow, Turka, Wieliczka and Zamosc. 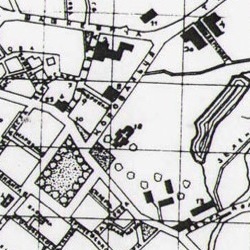 The website of Harrie Teunissen and John Steegh draws from their extensive collection of over ten thousand maps and over a thousand atlases and guide books, and includes several articles with maps covering different themes from Jewish history, such as The Holocaust in Contemporary Maps and Jewish History on the Map. Much on the site will be of interest to researchers, but this latter article in particular has information and maps with a Galician focus (in the section 2: Diaspora). Now under the umbrella of Polin - Museum of the History of Polish Jews in Warsaw, Virtual Shtetl is an ambitious internet research and documentation project to record and catalog local Jewish history across Poland and nearby states, including all of Galicia. Research on the site can be conducted along axes of location, people, or theme; the towns index is an excellent place to start. Not a map source per se, the town pages provide geographic coordinates for Jewish buildings and sites in even very small towns in its coverage area. 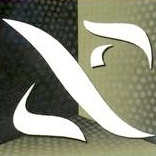 Plus there is a wealth of historical data, stories, photos, videos, and more, all tied to the primary research axes. This site is a key resource to Gesher Galicia when we research the towns portrayed in our online maps. This Hungarian university has developed cartographers for over 50 years; their website includes a number of interesting links to historical and contemporary mapping sites. Especially interesting is the indexed Third Military Mapping Survey of Austria-Hungary, dating from about 1910. Although not all sheets are available, Galicia is well represented in the total of 267 sheets posted by the university. One of the largest digital map collections anywhere, the David Rumsey collection has more than 30,000 historical maps/images. Primarily focused on the Americas, but there are several historic maps of covering the lands of Galicia from the 18th to the 20th century, and many more for Austro-Hungary. 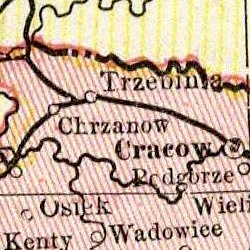 Within this physical archive dating from 1878 (now forming part of the national records system of Poland, with branches in Bochnia, Nowy Sącz and Tarnow), the Department V - Cartographic materials of the National Archives in Kraków include an extensive range of Galician cadastral maps. Many maps have already been digitized by the Archive, and presentation of a large set of scanned sheets is already available online. Gesher Galicia has been granted permission to stitch and publish the maps in our Map Room. 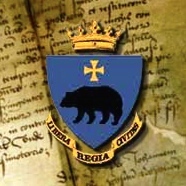 See the history of the Archives for a description of the evolution of the collections and administration. 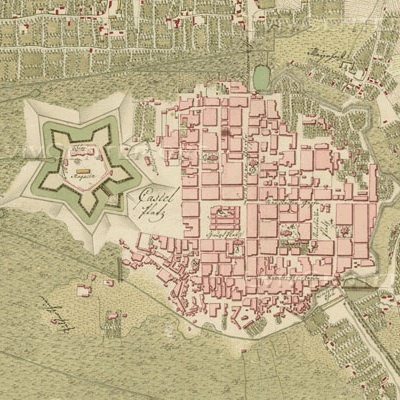 A physical archive forming part of the national records system of Poland, the Special Collections of the State Archive in Przemyśl include an extensive range of Galician Cadastre maps. Many maps have already been digitized by the Archive, and presentation of a large set of scanned sheets is already available online. Gesher Galicia has been granted permission to stitch and publish the maps in our Map Room. See the history of the Archive for a description of the evolution of the collections and administration. 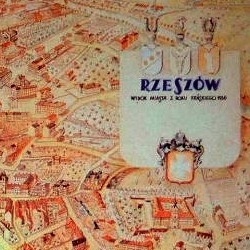 A physical archive forming part of the national records system of Poland, the collections of the State Archive in Rzeszów include cadastral maps of many key Galician towns. The maps are currently being digitized by the Archive, as part of the state program for protecting and presenting maps for historical research. Gesher Galicia has been granted permission to stitch and publish the maps in our Map Room. See the history of the Archive for a description of the evolution of the collections and administration. The Emanuel Ringelblum Jewish Historical Institute combines archives, a museum, a library, and a wide variety of educational and research activities at a single location in the historically Jewish quarter of Warsaw, Poland. The Institute's diverse archive includes many unusual collections valuable to researchers of Polish Jewish history, including key interwar, underground, and Holocaust papers, maps, and artifacts. In addition to serving as a resource for historical study, the Institute's own researchers publish, teach, and share Jewish social, academic, religious, artistic, and political life in Polish history to the present day. Assisting visitors from all over the world to investigate their Polish Jewish family roots, the Institute also maintains an on-site genealogy research department. Revised 05 September 2015 (Jay Osborn). For more information, visit the Gesher Galicia Map Room.